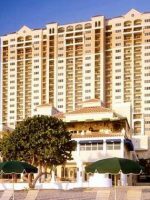 Formerly the Sheraton Fort Lauderdale Beach Hotel, the B Ocean Resort offers families 484 guestrooms and suites with views of the beach and ocean. Accommodations come with king or double beds, mini-fridges, free Wi-Fi, flat-screen TVs, and snacks via a B-Treated Tray. 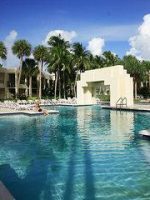 The resort has two outdoor infinity edge pools and direct beach access for guests. A fitness center is onsite along with a spa. 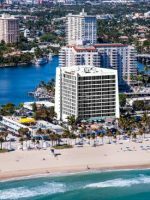 Families will be just minutes from water sports and activities in Fort Lauderdale, too, and can set up excursions through the hotel. 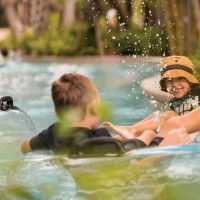 Dining is available at several restaurant options onsite including the Wreck Bar, which has an evening mermaid show on the weekends. Room service is also available for breakfast, lunch and dinner. 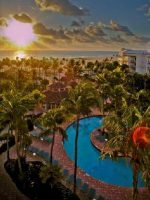 The hotel is just 6 miles from the Fort Lauderdale Airport, and onsite parking is available. 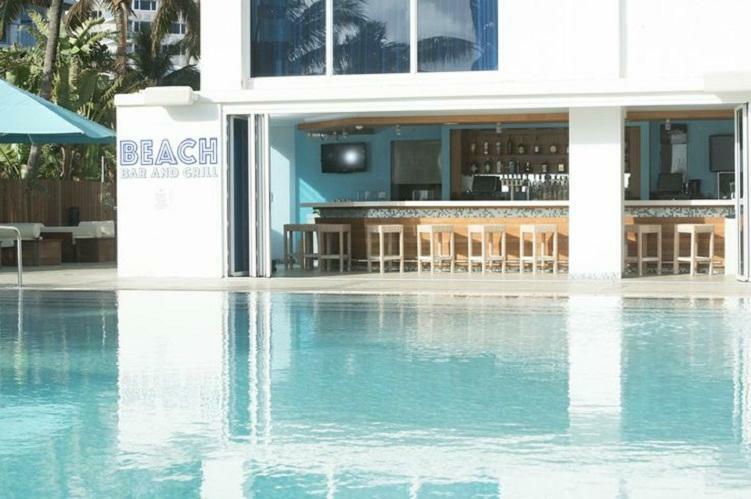 Check-in is at 4 p.m. and check-out is as 11 a.m.
First time in Fort Lauderdale and after many nights of research, we landed on B Ocean Resort. Check-in is at 4PM, we arrived at 5:30PM, and our room was ready around 8PM. The front desk compensated by offering drink vouchers. The room we ended up getting was not what was advertised, nor what we paid for but was the only one available so we took it for 1 night. We received comp tickets to make up for it. Day 2 we were told that we'd be able to move into a "better room" (aka the one we originally paid for) and that we'd receive a call by 11AM when the new room is ready. After having checked multiple times with the front desk ourselves, we finally were able to transfer into our new room around 5PM. We received a few drink vouchers for the trouble. Day 3 we decided to wake up early and reserve one of the 3 cabanas by the pool which we did. The shade, couches & overall location were nice. At 1PM, we were approached by a manager letting us know that the cabana was reserved by another family at 2PM and we needed to leave. Needless to say we were taken back and asked why and requested to speak to the Director on-site who had trouble confirming the specific reason or reference the policy that you needed to spend a specific amount to stay there (which we were getting close to by that time anyway). The rooms themselves are OK but lack drawers & storage space in general, especially for a family of 4 (2 adults & 2 teenagers). That said, the location right on the beach is really nice, the beach crew (Justin, David, Jesner, James and Luis) is OUTSTANDING, and the bartenders (Adrian & Ivan) made up for the hiccups we encountered. 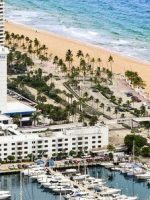 Overall as our first time in Ft Lauderdale, we had a pretty good spring break vacation there but feel like a lot of the issues we encountered could have been avoided and made our trip more enjoyable. I tend not to try new things, i like places i know. But with most hotels sold out, i heard some good things about here so gave it a try. It was better than i could have expected or hoped for. Super clean, Friendly staff. Easy to get around. Great pool. Great beach. My only wish was better service when sitting on the beach and wanting to order lunch, the guys were running around, but maybe needed a couple more.